In the league of (medium and large) healing workshops IADLife brings to you, is the most divine workshop in its own way. Angels are high vibrations entities that are sent/are with you/assigned to you as your personnel high level/vibration entourage, when you decide to come on this planet. Every single person has guardian angel with them. Your dear ones that are no more with you physically, are possibly around you, watching over you as your angel. All the angels work on the method of “free will”, and will be able to support you only if you ask you. In the workshop you learn about them, how to get in touch with them, how to ask for help and what are the ways to get in touch with them, what kind of help to ask. The workshop also has a visualization meditation where you get a first hand experience of getting in touch with your angels. You will also be hearing from other participants about their experience. It’s totally divine. Also, you will become part of IADLife mailing list, where you share your testimonials and experiences as well as read others testimonials and experiences. Study of Angels are called “Angelology”. Angel is being who is celestial in origin, who has no ego, and is 100% love. – Doreen Virtue (http://www.angeltherapy.com/). This entry was posted in Uncategorized on January 13, 2014 by IAD Life. Well! Not really. Each time we are saying something, are we being honest. Think about it. What is the fear, what is the anger. Do we talk to them with self -love and self -respect, if not, as a result the whole conversation turns out to be a mess.…because its not honest..on trying to clear up the mess in the same mentality…. gives rise to further mess of trying to cover it up. Truthfully, I did not even know it. I am so grateful to the “Human Science”, that I am involved in through IADLife, that this realization showed its interesting face. We sometimes root for our men to fail, so that they are in a position to apologize, thus giving us an upper hand. However, the plan may not work, if you are caring and cannot directly hurt and/or see anyone hurt. ….as a result, confused information to universe and what is manifested …. messy argument, and I am told “Men never use to come back to apologize”…”or even converse to solve it”. My thinking is when the apology comes, are we willing to receive! It is all about being open to receive (do we recognise it), to increase our deservability to an extend that we can receive, good attention without all this drama. I certainly need to learn a lot about men, to understand them better, to get along with them better. I saw/heard all of Matt Tittus’s you tube videos, and am also attending Katherine Woodward Thomas online seminar. Hey….I am just expanding my knowledge. Affirmation: All my relationships are with love joy and grace. This entry was posted in Uncategorized on January 7, 2014 by IAD Life. I had a conversation with a friend, he spoke about ‘negotiations’ and ‘free’ sessions, because his friend suggested to him. Another friend talked about ‘bargaining’, says that is a doable act, in the right place. And she has managed to bring down the price to half (what an achievement). Yet another client of ours talked about ‘discounts’. I remembered that I rarely do. Maybe because I do not know the art of it. Right now I have started my own business ‘IADLife’ and have invested all I could, so I have started budgeting, but negotiations/budgeting/discounts I think are welcome, but I do not know how to ask comfortably. My thinking is, I prefer to know what I want, state my budget, and find resources accordingly. I remember there was a day when I was upset when the parking attendant asked me for an extra Rs10/- and then 5 minutes later, at the traffic signal a boy approached me for his school fees (I had seen this boy earlier, selling newspaper), and I gave him Rs100/-. What was that! My behavior was based on my thoughts, where at one point I felt I was being taken for granted and other the deservability of the boy was high. IADLife is into business of healing, dedicated to bringing healing solutions to all. Counselors/healers/scientists who have dedicated their career in learning and sharing and imparting healing knowledge, themselves invest big “mullas” -time/money/energy to learn by attending courses, workshops, buy books, DVDs, audios to gain the knowledge. I know because, I have and it can be in lakh(s). Now if the person is a researcher like me, one would have looked at various related areas and am continuing to do so, and fact of the matter is that’s where the answers are. For example, when you go to a hypnotherapist, they need to counsel you know which area of your life needs Hypno-therapy. Human Science is a cross disciplinary area. Also, this is a profession (Dictionary meaning of which is a paid occupation, especially one that involves prolonged training and a formal qualification). The counselors/trainers have every right to fix what their remuneration and IADLife, brings this information to people/clients and they have the right to make a decision. IADLife was founded 8 months ago and has catered to free services and paid experienced counselors good money to conduct workshops. During this period IADLife noticed that the free workshops had sparse attendance and that can get demotivating for the speaker. Now, IADLife still continues with its endeavor to attract client that are willing to take healing solutions, therefore, IADLife has T @T6, a free discussion forum. There are only two conditions that are compulsory, one, each participant has to get a guest and the other, of-course ‘T’. IADlife also organises workshops small, medium, large, varing in size of the participants and the half day workshops (De-cluttering your life, Workshop for parents, Angel Therapy workshop), and full day workshops (Angel therapy Workshop, 25th Jan 14). These workshops are equivalent to 4+ sessions, lots of questions are answered and you get a support group too, thus beneficial and economical. Some clients who take counseling once and don’t return for the reasons of ‘some form of resistance’, how do we motivate them to continue with their healing. That is why IADLife has come up with a 3 session package/ or assurance of the three sessions. 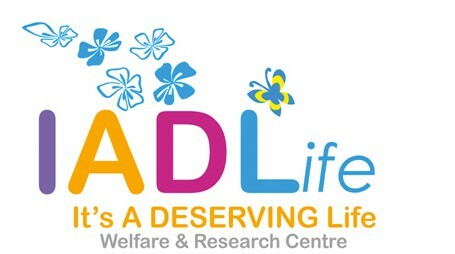 IADLife needs you stay with us for 3 sessions atleast to start seeing good changes in your life. Are we still thinking about terms like free, bargain, discount and negotiations. Healing is a service, a product and has a price. You deserve the best and the best shall come to you. Affirmation: I can now afford all that I desire, at a price I can easily afford. I was introduced to this concept last year, where I learnt that we deserve all good. Then this name came to my mind and I decided to keep it as a fond memory. Then while attending a manifestation workshop I for the first time spoke it out “It’s A Deserving Life”. Only a person who has been working on understanding her own “deserverb’ility'” could understand, how important it is to spread the message that “You deserve all good”. We are a bit particular about what we give ourselves. We are most of the time conscious of giving ourselves more…lest we are called greedy. “Greedy” this is an interesting topic, lets discuss that as a different topic as another another blog item. For now, thus was the commencement of IADLife after nearly a year. Being a scientist of 15 years, I aim to continue research on human science, as I call it. As a Welfare aspect, we have workshops, we have discussion forums (T@T6), counselling, employee support. In all, IADLife is dedicated to bringing healing solutions to all that are willing to take it. This entry was posted in Uncategorized on January 3, 2014 by IAD Life.